Apple added wireless charging to the iPhone 8, iPhone 8 Plus and iPhone X when they launched late last year, and with that brought a technology to Apple customers that the rest of the world had been enjoying for years. The arrival of wireless charging to the iPhone lineup meant that there were suddenly many more people interested in buying wireless charging accessories, meaning more are being released than ever before. One of those is something you might not have expected, but it actually makes so much sense we wonder why we don’t already own one. 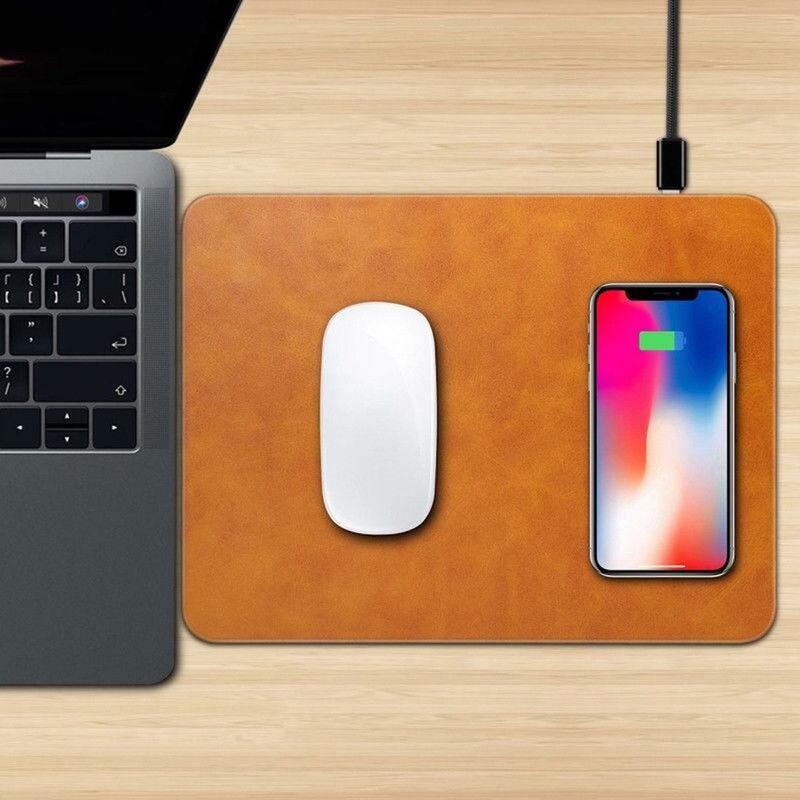 We are of course talking about the Mouse Pad with Wireless Charging, a mouse pad that plugs in and acts as a wireless charger for anything that is placed atop it. You simply place your iPhone, or indeed any other Qi-compatible Android device beside your mouse as you work and it starts charging as if by magic. 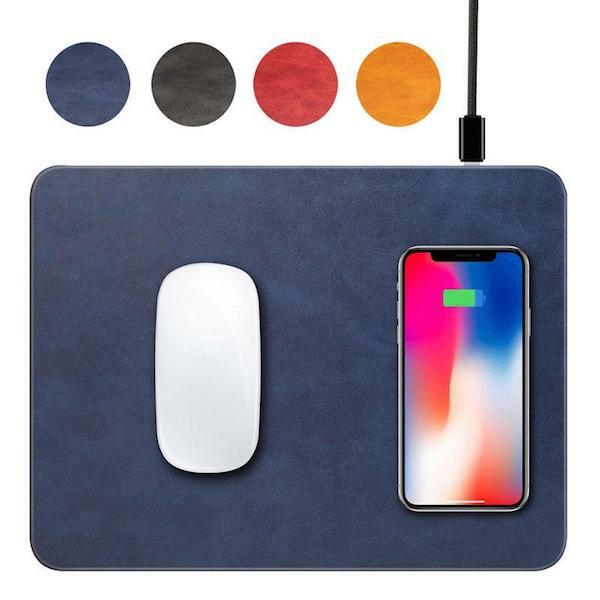 This unique mouse pad features built-in Qi-wireless charging capabilities so that you can charge your compatible iPhone or Android device right on your desk on the mouse pad itself without needing a wired or wireless charger separately. Costing $29.95 (or £21.95 in the UK), the charger is made of “leather material” and comes in one of five colours; brown, blue, red, black and yellow. We’re fans of the red ourselves. Given it’s holiday season time, the deal gets better with the total price going down to just $23.95 each when buying two (in same, or different color) from here using promo code HOLIDAY1820 at check out. If you need a nice, minimal wireless charging solution for an iPhone or Android phone and want something that is not just another charging puck then this will be right up your street and you can get it from here. If you need a mouse pad as well, you should probably have ordered one of these already! What are you waiting for? I like having room to use my mouse on my mousepad. This is absolutely stupid. Not great tracking material. QI charging area is limited to just that one spot on the mouse pad. And if used, you won’t have any room to move your mouse. Get ready to smack into your phone when moving your mouse in a game quickly, and knocking the phone off and scuffing both items. Of course this isn’t actually an article. This is a paid advert by the company selling this garbage. Lol. They deleted my comment that said this item is crap and this is a paid advert, not an actual article. Great work covering it up! Dickbags.